Gosh, what a wonder the Chelsea Flower Show is. And gosh, did I feel lucky to be there today. There is just so much inspiration, so much new thinking, so many details to take in…it’s going to take my brain some weeks to process it all. Today, I was working with a photographer on a magazine article, interviewing some of the biggest and best in garden design. I’ll be back again tomorrow with a bit more time to get some better shots, but for now, I’ll share with you each of the 17 show gardens, taken very quickly on my iPhone, as I arrived at 7am (sorry, Jekka, you hadn’t quite finished sprucing up your beautiful garden!). I’ll share more of my personal thoughts on them later, although I will say there were three that particularly caught my attention. Three that I could have stared at all day and noticed more and more detail, sophistication and new ideas. Those three were the gardens of Andy Sturgeon, Cleve West and Nick Bailey. But which ones appeal to you most? Looks dreamy! Lucky you getting there so early on preview day. I am going to set off quite promptly myself tomorrow morning. What to wear though? I never get it quite right. Who would you have awarded best in show to? That’s a hard one. Probably Andy Sturgeon, for a combination of innovation and beauty, which for me, are the two most important factors in the main show gardens. 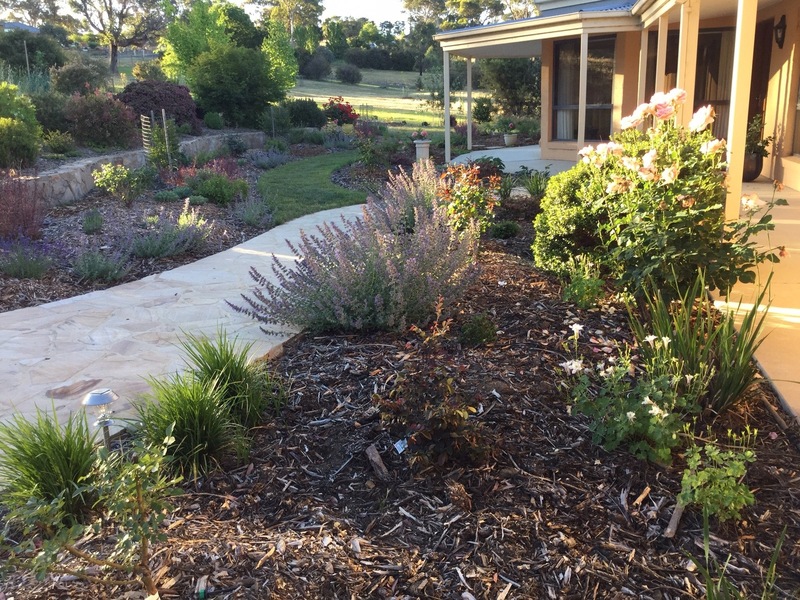 I’m conscious that I was also excited as it was one of the best ‘Australian-fitting’ gardens I’ve ever seen – anywhere – so that may have affected my thinking. All three I singled out were right up there for both innovation and beauty in their own ways. And what to wear? Comfort over glamour every time!! Advice taken! I am most excited by Nick Bailey’s design, so glad that made your top three. It was absolutely excellent, extremely clever and Nick Bailey is lovely! I just think Andy had the edge on innovative planting. Love Andy Sturgeon’s garden too and also the atmosphere of Catherine McDonalds and I love, love love the flower combination in your ‘heading’ photo Janna. I’m excited and I’m not even there! Look forward to more soon. Catherine’s was beautifully planted. So natural and the contrast of exotics in the greenhouse was great. I’ve taken lots more ‘flower combination’ shots today and yesterday; just more stunning plant combinations than you could dream of, across the show! This one was on David Harper’s stand. The garden that made me stop and look a little longer was Diarmud Gavin’s. I love the whimsy and eccentricity, but I agree that Andy Sturgeon’s garden was much more relevant to an Australian situation. Diarmuid’s was such fun, wasn’t it? It’s really refreshing to see gardens that don’t take themselves too overly-seriously. It was beautifully planted; I couldn’t take my eyes off all the spikes of colours. It’s great to have a real mix; I think that’s what makes the spirit of Chelsea. I would totally agree with you Janna regarding my pick from just one photo……why am I not surprised! How excited you must be wandering around admiring all those fantastic gardens and storing up all those ideas. I am jealous! I also agree with Adriana, those flowers in the heading are a stunning combination and guess what?……..I have them all in my garden! I wait in anticipation to read and see more of Chelsea……..
How amazing that you have all those flowers. I could certainly pick a few that you have but how busy you have been over the last couple of years to have so many! And me? Excited? Just a little! I don’t know that I can select a favorite from just one photo. I’m not sure about the shard-like shapes in Andy Sturgeon’s design. Cleve West’s is very appealing and I do like Nick Bailey’s design, but given I have read two in depth posts on this garden and concept it has an unfair advantage. I also found Catherine McDonalds very appealing. Actually I found almost all of the very appealing! Janna, you must be in seventh heaven…and you get a second visit to take it all in. Fabulous. One photo doesn’t really tell you all that much, does it? See what you think to the Stegosaurus ‘shards’ when you see more. I wasn’t at all keen on paper but loved them as part of the holistic design. Seventh heaven doesn’t really do justice to my feelings of elation….and I’ve had an invitation to go again on Thursday! I’ve seen it all pretty well now, but just adore soaking up the mutual-love-of-gardens atmosphere. Can’t get enough of it! What choices! What difficult decisions! I’m particularly drawn to Jekka’s garden with its medicinal herbs, and to the lovely Mediterranean feel of James Basson’s garden. Diarmuid’s is so colourful and such fun! Matthew Wilson’s clever York Minster garden really glows in your photo. And I loved seeing the comeback of lawns in Jo Thompson and Charlie Albone’s gardens. Andy Sturgeon’s and Cleve West’s are exceptional! 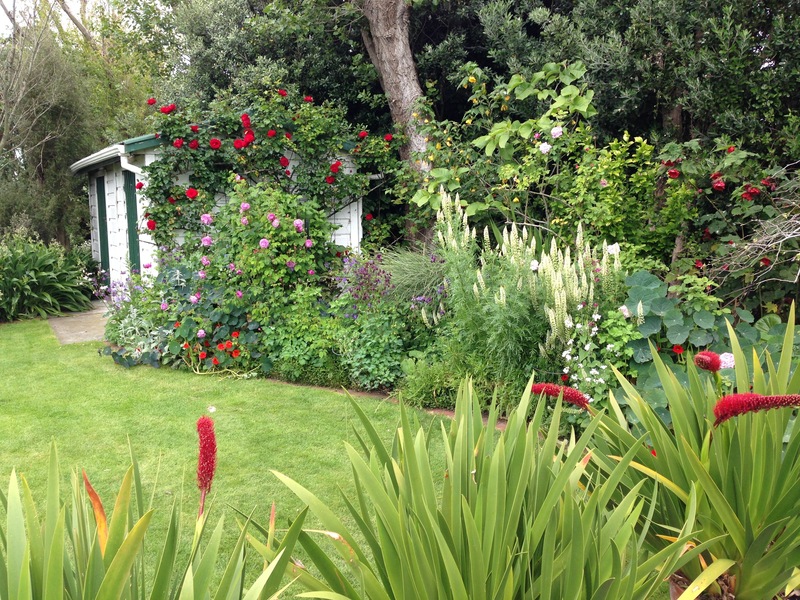 But, if I have to choose one, I’d go for Jo Thompson’s garden. What a beautiful, modern interpretation of a traditional garden, with its lawn and Rose borders. Such exquisite planting! It’s lovely to hear all your thoughts! We really were spoilt for choice this year, weren’t we? Every single one of the gardens you mention were beautiful; no exceptions. I have a real soft spot for Jo’s too. I thought it was a very brave design, marvellously executed and I couldn’t help but be influenced by Jo’s exceptionally warm personally. She won the prize of being the most lovable designer of all! I’m aiming to write this one up in more detail when I get the chance.